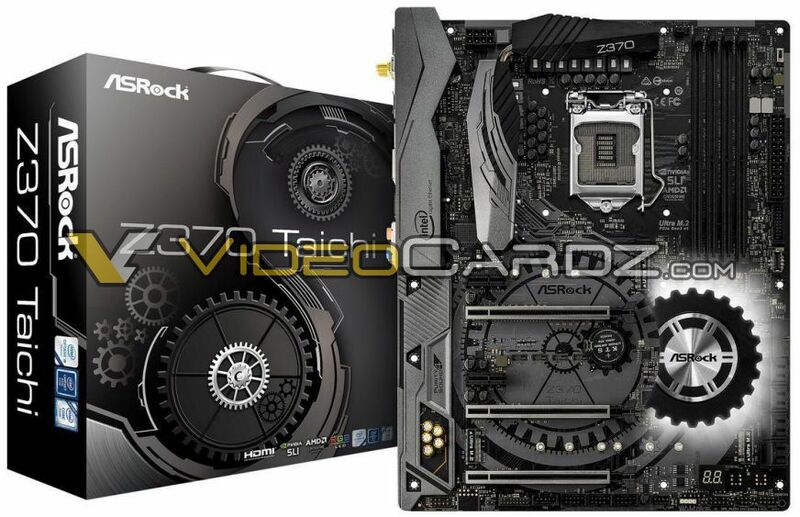 MSI Z370 Godlike Gaming and ASRock Z370 Motherboards Surfaced – Here’s How They Look! Intel is rumored to release their 8th gen Coffee Lake processors, the Core i7 8700K and Core i5 8600K, sometime next month (October 2017). But where are the 300 series motherboards? 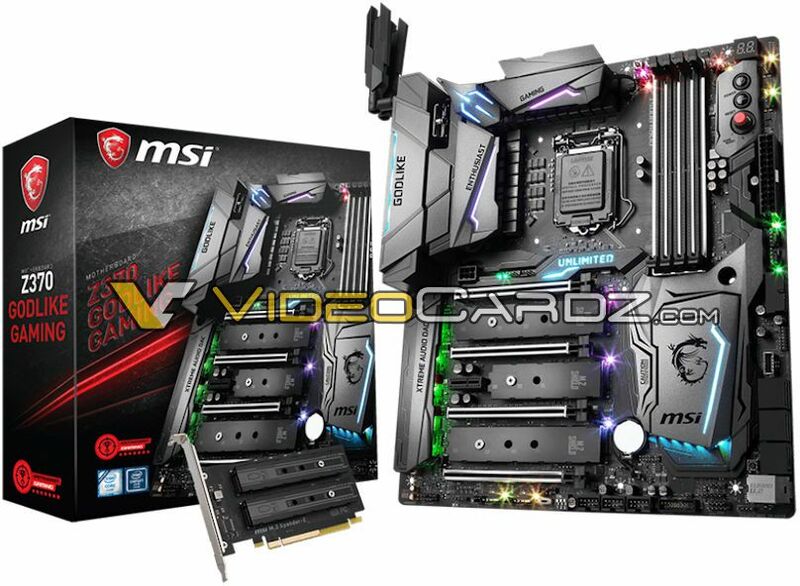 Well press images of the MSI Z370 Godlike Gaming and a number of ASRock’s Z370 motherboards shows up on the web, thanks to VideoCardz.com. Looks like the marketing materials are already prepared and most probably the actual products are just waiting to be revealed or officially launched. These new Z370 motherboards features LGA 1151 socket but they are not backwards compatible with the 6th and 7th gen Core processors. It means you can’t use Skylake and Kaby Lake processors on the new Z370 motherboard (and vice versa). Looking at the motherboards below, I’m sure you’ll already get an idea on the set of features each motherboard has. Go ahead and check them below. Obviously, the MSI Z370 Godlike Gaming is going to be the company’s flagship motherboard, with a total of 5x M.2 slots (three on the motherboard plus another two via an add-in-card). It also has built-in wireless connectivity options, a number of RGB lighting and many more. Basically it looks like the Z270 Godlike Gaming they announced last May 2017; very much the same actually. 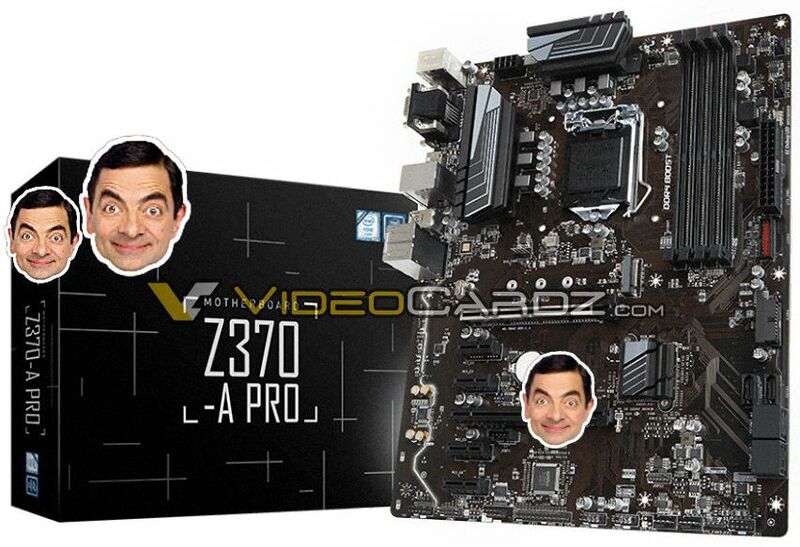 The MSI Z370-A Pro was also leaked; it’s not a very attractive motherboard and more or less this is going to be on their entry level Z370 segment. Following the success of ASRock’s Taichi series, the company continues it with their Z370 Taichi motherboard. 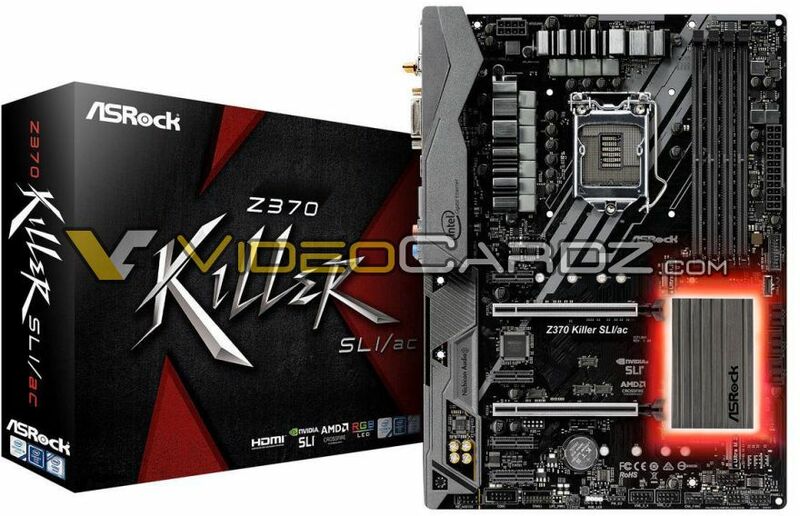 Expect an onboard wireless connectivity options and more probably the usual set of features you see on ASRock Z270 Taichi and X370 Taichi motherboards. The ASRock Z370 Killer SLI/ac also features a built-in wireless connectivity options; SLI capability as well as CrossfireX, some RGB lighting and the usual set of features. 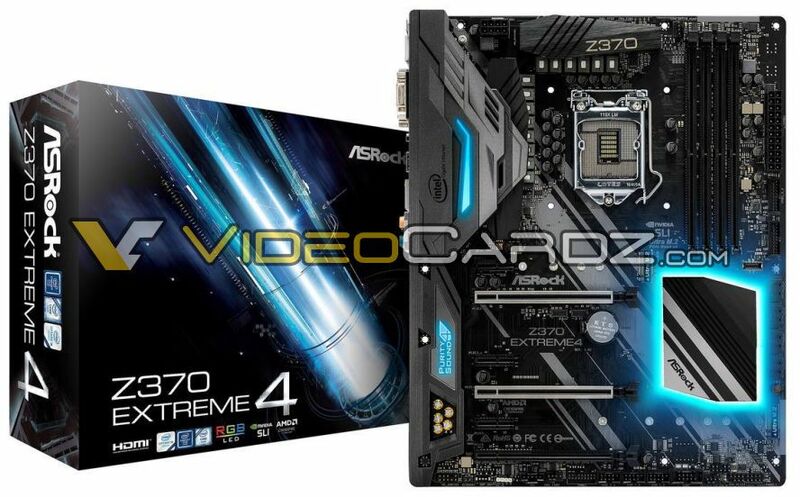 The ASRock Z370 Extreme 4 motherboard looks like a trimmed-down version of the SuperCarrier or Fatal1ty Professional Gaming. You get three PCIE x16 slots, a nice looking rear I/O shield, two Ultra M.2 slots and more. 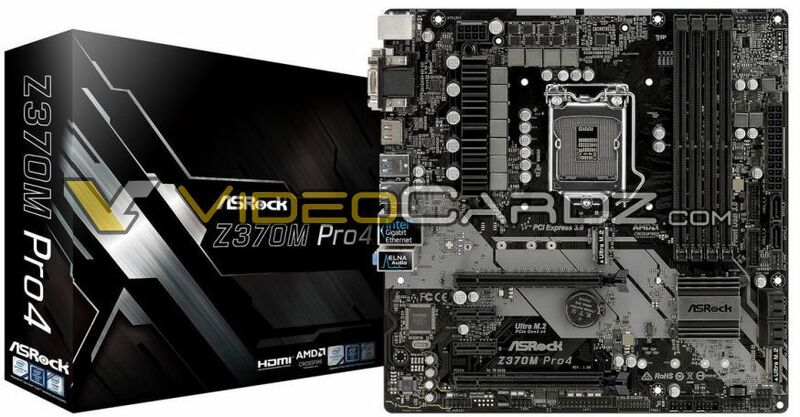 Here’s another ATX Z370 motherboard, the ASRock Z370 Pro4. It looks like a pretty normal ATX mainstream motherboard, but definitely it looks better than MSI’s Z370-A Pro (above). 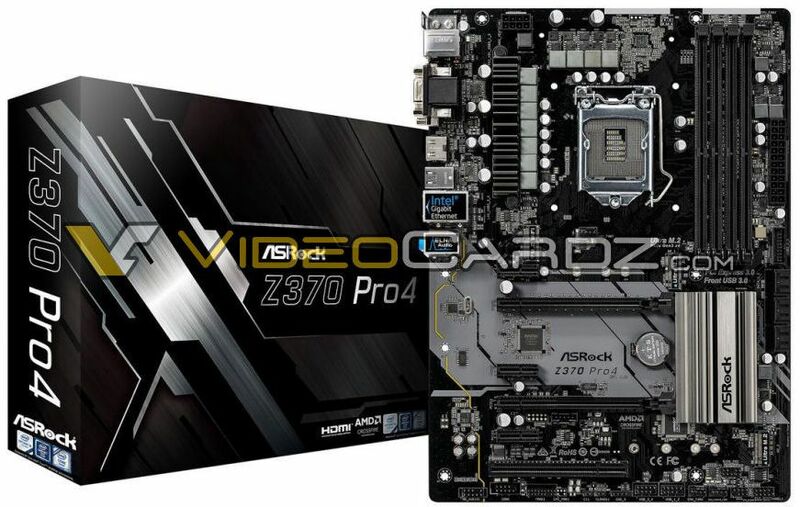 ASRock also plans to release a micro-ATX version of the Pro4, the ASRock Z370M Pro4. It looks similar with its larger ATX brother, but with a slightly different set of connectivity options. 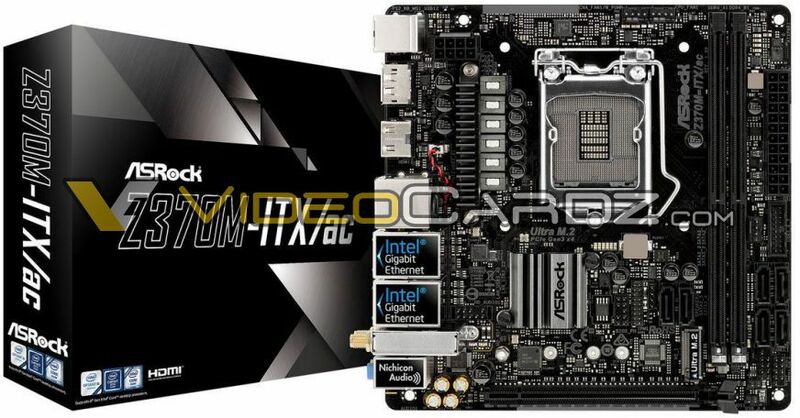 Finally, there’s the ASRock Z370M-ITX/ac; it looks nice and decent for an ITX motherboard. You get dual Intel Gigabit Ethernet ports, an audio section that uses Nichicon components and the usual set of features. ASRock has been pretty consistent and they are usually the first one to release an ITX version of a particular motherboard series. Expect to see more Z370 motherboards to surface on the following weeks to come. Again, Intel’s 8th gen. Coffee Lake Core CPUs is rumored to be released or launched by October 2017.